An Over / Under 3,25 Goals Bet works well for punters who are betting on football. This strategy helps to improve your chances of winning your bet, since it only involves two outcomes. With Over / Under 3,25, you bet that the goals scored in a match will either equal more than 3.25 or less than 3.25. To some punters, this is a relatively easy decision to make. For them, it may seem that the most likely outcome is that both teams will do so well in a match that they're betting on, that the goals tally will be a figure greater than 3.25 For that reason, they place their stake on over 3.25. Over / Under 3,25 Goals is a betting strategy that allows punters to concentrate their wagers on the number of goals that will accumulate towards the end of a match. Asian Over / Under does not address a win, draw or lose situation between two teams. Instead, it focuses on the overall goals in the game. Once you think that the match will be exciting and full of goals scored on either side, you might bet on over 3.25. This means, you think the total points will be 4, 5 or higher. If you think the match you are betting on is likely to be highly competitive but neither team will have much of a chance to score, you might bet on under 3.25. In that case, you expect to see just a few goals, probably in the region of 1 or no goals. Over / Under 3,25 Goals is fun to use when betting on football. While it can be a really good football betting strategy and is commonly used among fans of this sport, it is not limited to this game. Asian handicap, on the whole, works well with any sport that allows you to tally points at the end of a match. For example, you can use it with tennis or rugby. Over / Under 3,25 Goals is a great method of betting on a match when you just aren’t sure which side will be the victor. If you have a favourite team but have doubts about their performance on a particular occasion, this gives you the opportunity to improve your odds of making some money on their match by betting on Over / Under 3,25 or even Over / Under 3.5 Goals. Suppose you are interested in a match between Chelsea and Liverpool. You like Chelsea but they are playing away and you may feel that when they do so, they are less likely to win. At the same time, Liverpool may have lost or drawn their last few matches and this consideration may make it harder for you to predict whether the match will be won or lost by Liverpool. By betting Over / Under 3,25 Goals, you do not have to think about wins, losses or whether the match will be drawn. You can concentrate on total goals scored. If you think Chelsea may score two goals and Liverpool may score three goals, the total goals scored will be 5, so you would bet on over 3.25. The situation may actually play out differently. Liverpool may end up scoring 3 goals and Chelsea may score 2. In that case, the tally would still be 5, so you would still win your bet. From this, you can see that betting Over / Under 3,25 Goals gives you more protection from losses. No matter which team wins, as long as the total goals scored in the match is over 3.25, you would win your bet. If the odds on over 3.25 were 1.85 and you bet $300, you would win $300 X 1.85 = $555. Your profit would be $555 – $300 = $255. If you think neither team would have an opportunity to score well, because of the talented goalkeepers, you might bet under 3.25. In that case, if the result is 1-1, the total goals would be 2 and you would win your bet. You would also win your bet for under 3.25 for 0-1, 1-0 or any other combination that gives you less than 3.25 goals in all. Over / Under 3,25 Goals positively impacts your odds of doing well on a bet. Usually, when you bet on football, you have to decide whether a team will win or lose a match. A draw is also a consideration and that gives you 3 possible outcomes in all. That means, your chances of winning your wager are 1 in 3 or 33%. With Asian Over / Under, you bet that the goals scored will be either over 3.25 or under 3.25. That limits the possibilities to two. That means you have a 1 in 2 chance of winning your bet. Your odds of winning increase to 50%. You will have the best options available to you when you use Over / Under 3,25 Goals between the 45 and 60th minute during a game. It manages your risk, since you only bet on the total goals scored in a match. 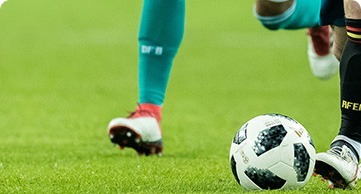 The technique requires you to bet on whether the goal tally will be over 3.25 or under 3.25. Your chances of being correct are 1 in 2. This means you have a very good chance of winning your bet. This method of betting is really secure. Some punters regard it as one of the best ways to bet and make a profit. By studying the behaviour of the teams carefully you can steadily increase your winnings. Some bookmakers allow you to bet on Over / Under 3,25 Goals up to half time, which makes things even better for you. If you think the teams in the match have a history of not scoring in the first half, you might bet under 3.25 goals for the first half.